What Does Bonded & Insured Mean? Companies that are bonded and insured protect their customers two ways. If an employee is injured on customer property, the company's insurance, not the customer's, takes care of it. If the company fails to do the job it was hired for, a surety bond compensates the customer. Businesses promote themselves as "licensed, bonded and insured" to show there's no risk in hiring them. As a general rule, when there's an accident on someone's property, the owner is liable for damages. This applies to more than guests: delivery people, cleaners and roof contractors could all potentially file a claim if they're injured. The same risk is present on a business property. Dealing with insured professionals reduces the risks. If a contractor has general liability insurance, that pays out if the contractor damages the customer's property. Workers' comp pays if one of the employees has an accident. The property owner's insurance might cover the same events, but filing a claim could increase the rates. It's particularly risky for property owners if the contractor is someone doing dangerous work, such as a roofer. If you're hiring contractors for your business, question them about insurance coverage and ask to see their workers' comp certificate. When you're marketing your business to customers, have your insurance information ready so that you can reassure them. In some cases, you won't have a choice not to be insured; it's a condition of qualifying for a license. Bonding protects customers, too, but it's different from insurance. A company that takes out insurance primarily protects itself. A company that buys a surety bond protects its customers. Another difference is that insurers anticipate customers may eventually file a claim costing the insurer money. Surety bond companies don't expect to lose money. Take movers, for example; the "bonded movers" definition is that the mover is covered by a surety bond. If the mover fails to do the job they've been hired for, the bond company has to pay up. The company then turns around and looks to the mover to recover its losses. It works the same for bonding in other industries. Some businesses don't have any choice about taking out a surety bond since it's a condition of getting a license in their industry. Contractors that work for a government have to take out surety bonds to bid on projects. Even if a business has the option to do without a bond, surety bonds often have their benefits. Bond agencies only underwrite companies that look trustworthy. If a company tells its clients that it's bonded and insured, it's evidence the company is dependable. Rather than pay a monthly rate for a surety bond, you buy the bond outright. This could be 1 percent of the value of the bond, so a $500,000 surety would cost you $5,000. If you're a business owner, having insurance coverage protects you. If you work on other people's property, it protects them, too. That makes the coverage an asset when you're marketing yourself. There's no shortage of shady companies offering cut-rate work; having insurance shows you're legitimate. Crooked companies can undercut legitimate businesses on price, which is why business groups such as the Better Business Bureau instruct consumers not just to take the lowest offer. Almost every business carries some type of insurance, but not every company needs surety bonds. You have to take out a surety bond if it's a legal requirement in your industry, or if customers insist on it. 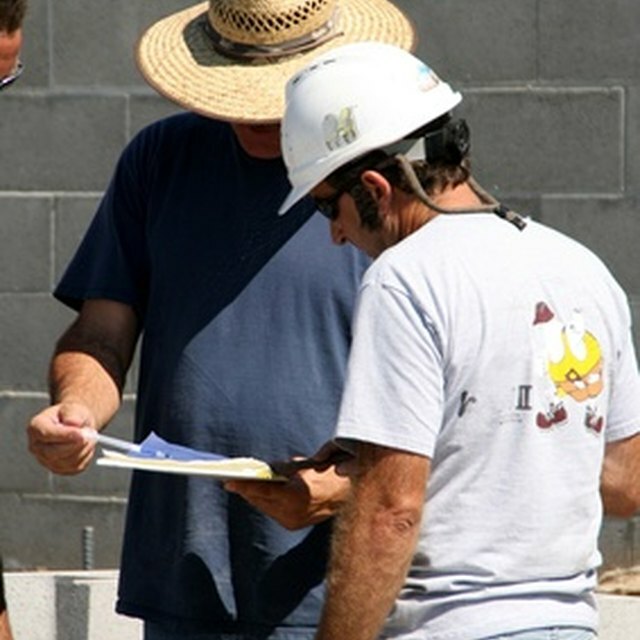 If you work as a building contractor, there's a good chance that being "bonded and insured" benefits your business. If you're in web design or manage a small bluegrass band, your customers may not care as much. You can talk to your insurer or a bond agency about what exactly you need, and how much insurance or bonding is necessary. Insureon: What does it mean to be "Licensed, Bonded, and Insured?" USA Moving Companies: What Does It Mean to be Fully Licensed, Bonded, and Insured? Surety Solutions: What's the Difference Between a Surety Bond and Insurance?